Ayana V. Jackson, Lucy, from the series Intimate Justice in the Stolen Moment, 2017. Courtesy of the artist and Galerie Baudoin Lebon. Ayana V. Jackson, Saffronia, from the series Intimate Justice in the Stolen Moment, 2017. Courtesy of the artist and Galerie Baudoin Lebon. 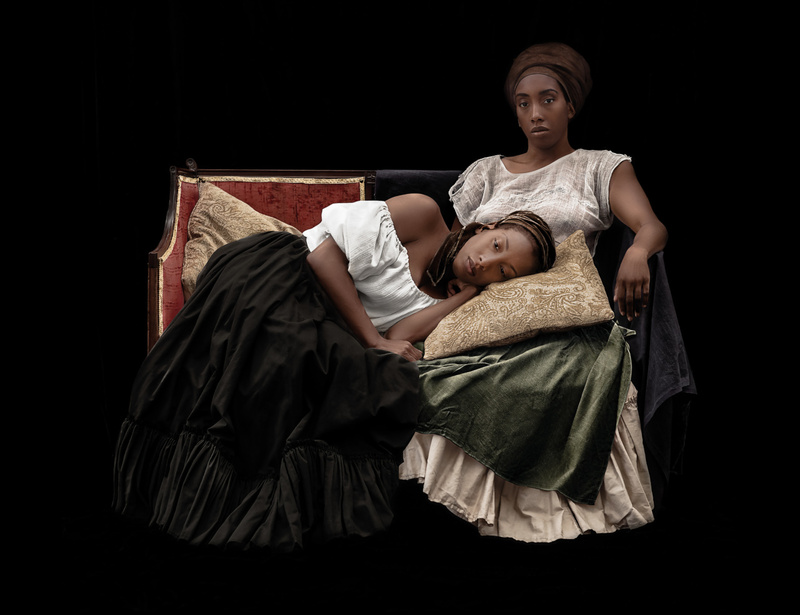 Ayana V. Jackson, Stella, from the series Dear Sarah, 2016. Courtesy of the artist and Galerie Baudoin Lebon. 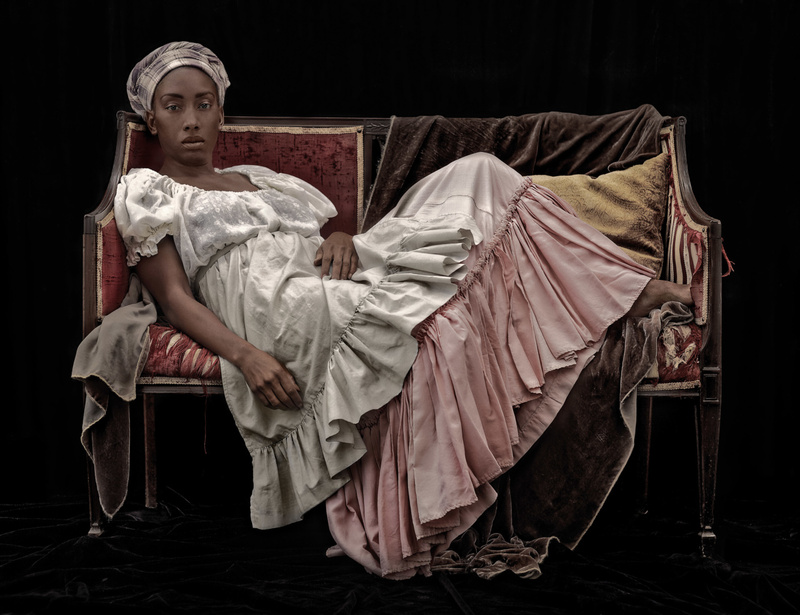 Employing her own body, Ayana V. Jackson deconstructs racial and gender stereotypes to create contemporary portraits laced with historical allusions. Deeply influenced by her own fluid identity and her transcontinental practice—working between New York, Paris, and Johannesburg— Jackson’s images crystallize African and African-diasporic realities while challenging a fraught legacy of pictorial representation. With Fissure, Jackson’s work activates the Campbell House Museum, the former home of Chief Justice Sir William Campbell and his wife, Hannah. The house was built in 1822, more than ten years prior to Canada’s official abolition of the slave trade in 1834. While it is commonly acknowledged that enslaved Africans did flee to Canada in the mid- to late 19th century to escape the pre-abolition United States, Canada’s more than 200-year participation in the transatlantic slave trade is little-known. The Campbell House’s age, style, decor, and original function epitomize the historical period alluded to in Jackson’s photographs in a visceral way. Adorning the walls of its period-furnished sitting and dining rooms, Jackson’s series Intimate Justice in the Stolen Moment (2017) responds to vernacular depictions by reimagining both free and enslaved Black women in 19th-century Europe and the Americas. It rejects the over-representation of centuries of abuse by offering another gaze, concerned with beauty, dignity, and self-representation. Jackson draws upon both her imagination and reference materials, including the controversial Portrait d’une negresse (1800) by French painter Marie-Guillemine Benoist, the source for the work Lucy. Jackson interrupts the stereotype of the angry, irrepressible Black woman, and instead conveys sensuality and vulnerability, reinvesting historical subjects with personal selfhood and agency. Inhabiting intimately staged scenes, Jackson’s personas, some donning garments suggestive of servitude, embody “stolen” moments of tenderness, comfort, joy, and resistance, creating fissures in the historical record and challenging the authority of its pictorial referents. Cascading from the ceiling in the upstairs ballroom, prints on fabric feature a figure adorned in a fine white dress and elaborate jewellery. The series Dear Sarah (2016) was inspired by the dramatic story of Sarah Forbes Bonetta, a Yoruba princess captured in 1848 during intertribal warfare under King Ghezo of Dahomey, and later gifted to Queen Victoria at the behest of Captain Frederick Forbes. It commemorates Bonetta in both image and name, each work’s title one of her many aliases. Defying the burden of history, the lone figure floats free on a white background, almost dancing. The weightlessness of the draped works affords a sense of release, of ascendancy. In Sarah Forbes, displayed over the fireplace, the subject wears a royal blue dress and sits, staring straight ahead with hands clasped tensely—perhaps a cue to Bonetta’s shifting subjecthood, first as princess, then captive, and finally, noblewoman. While not eliding the traces of the figure’s endurance and resilience, this portrait conveys a restrained sense of power that safeguards the exuberance of the others. Jackson’s act of reclamation via self-portraiture endows her images, and history itself, with the nuanced testimony of lives lost to time. Intervening in domestic spaces of leisure and extravagance, routinely off limits to Black bodies unless in servitude, the works confront the viewer in the present—a moment still charged with the legacy of colonial racism. Sharing walls with historical portraits of the Campbells, Jackson’s photographs provide a sensitive counterpoint, prompting conversation about representations of Blackness and shifting identities. Her work brings the past to life with a charged presence and a poetic gesture of defiant freedom, toward a hopeful future.